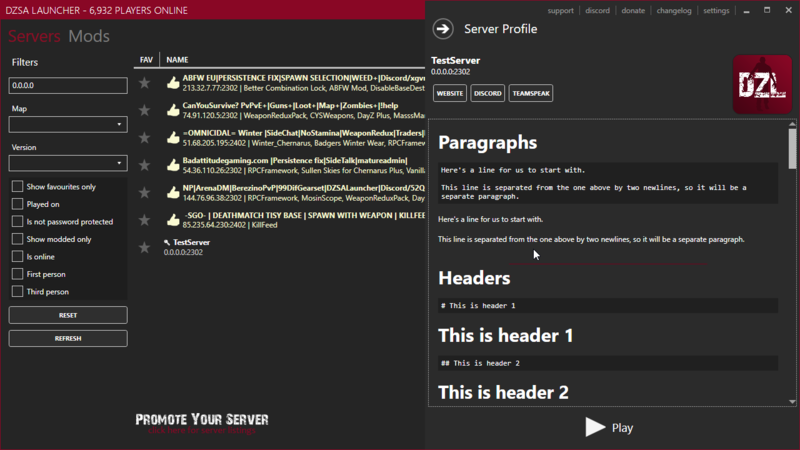 Server profiles for servers with active listings are now live. 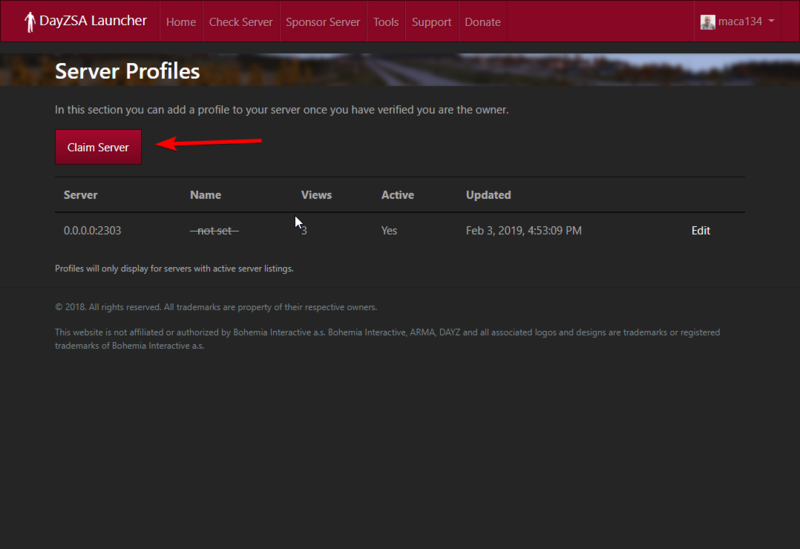 When you login, goto "Profiles"
You need to claim your server before you can set a profile. This is to ensure you are the owner of the server. 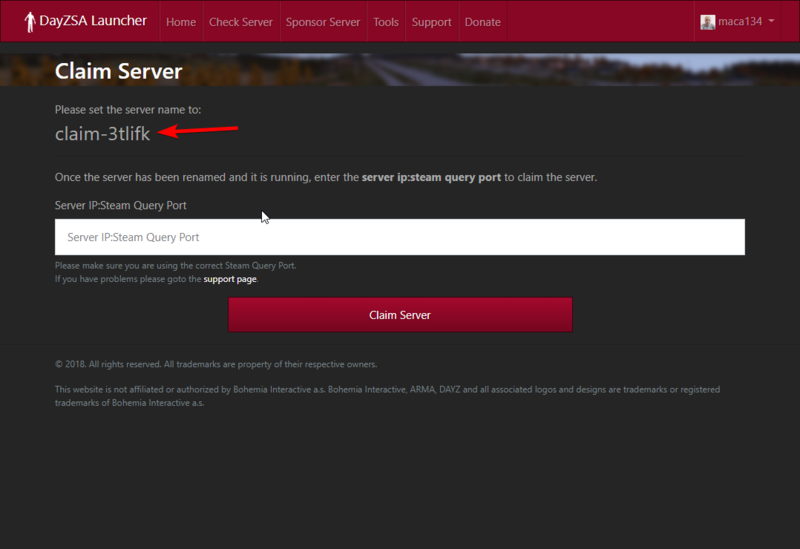 You need to change the name of your server to the one displayed. Do not leave this page until you have completed this process, if you do the unique name gets reset. Once the server is claimed you will be able to add a profile to it. 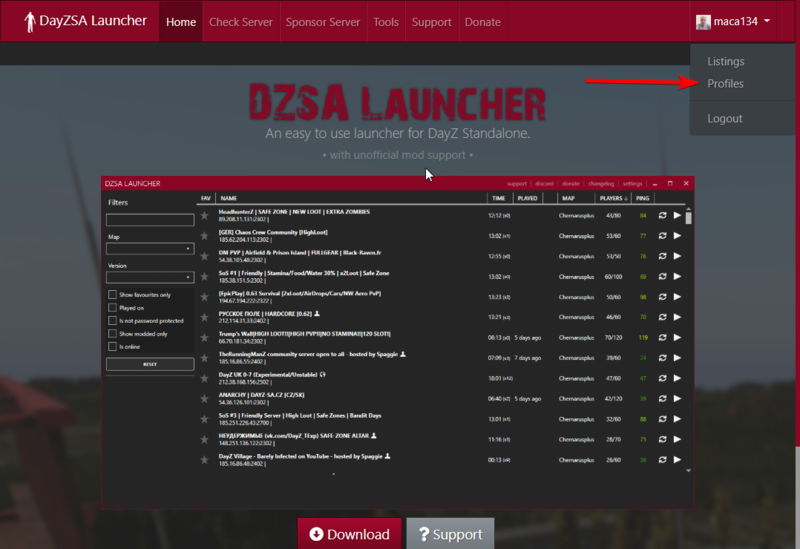 For an example of the server profile, search for "0.0.0.0" in the launcher.